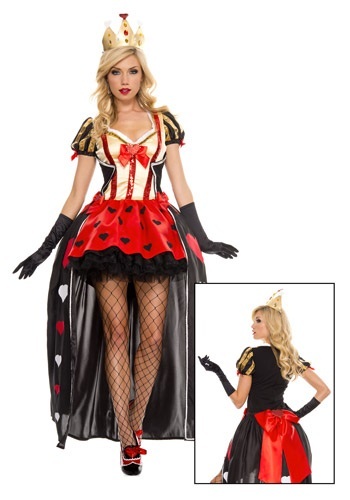 It is time to take your place as the true ruler of Wonderland when you wear this Luxurious Sequin Queen of Hearts costume. This costume will give you the confidence to give orders to all the playing card guards and maybe even a good shout of "OFF WITH THEIR HEADS!" If you pick up this dress be sure to also check out our great Queen of Hearts accessories to complete your royal look.